Well, a new tradition has begun at the Hut. Birthdays are now celebrated for our clan. This time it was very special with cake and ice cream provided by Chef Jerry Sebert (USAF). Rex Mantooth clocked in at a very young 97 with Eli Prater as runner up at 84. These kids have been around the block a few times and deserve a round of applause for their contributions to the Post and community. I am thankful to our Supreme Commander in Chief for their legacy and example. For my Navy buddies, here is a brief look on this date in 1964. U.S. and South Vietnamese naval forces initiated Operation Plan (Oplan) 34A, which called for raids by South Vietnamese commandos, operating under American orders, against North Vietnamese coastal and island installations. Although American forces were not directly involved in the actual raids, U.S. Navy ships were on station to conduct electronic surveillance and monitor North Vietnamese defense responses under another program called Operation De Soto. The Oplan 34A attacks played a major role in events that led to what became known as the Gulf of Tonkin Incident. On August 2, 1964, North Vietnamese patrol boats, responding to an Oplan 34A attack by South Vietnamese gunboats against the North Vietnamese island of Hon Me, attacked the destroyer USS Maddox which was conducting a De Soto mission in the area. Two days after the first attack, there was another incident that still remains unclear. Here is a reminder of coming events. We will have a combined dinner with our Auxiliary sweethearts February 13th at 1800 (that’s 6 pm Babo) at the Hut for Valentine’s Day. Rumor persists that we will dine on ribs. I will check on that with Chef Sebert. The Auxiliary has been the backbone of our Post contributing in so many ways to include help with our new water heater. Thanks gals for putting up with us (grin). We are also looking forward to a Chicken Noodle dinner fundraiser on February the 28th. From 1100 to 1300. Everyone is invited. It will be fun and entertaining and all funds received goes back to supporting patriotism in our community. Our regular meetings are usually the first and third Thursdays at 7:00 PM (February 5th and 19th). Monday morning Koffee Klatch meetings in February are still up (if weather permits) and running starting around 0700 till about 0900. Thanks to the crew for providing biscuits and gravy and maybe a waffle or two and always a cup of Joe (coffee to the civilians). If you are a veteran come on by. If you have a good story it may end up in print! 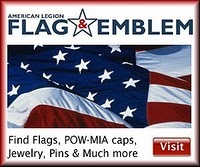 Also, keep up with us at website “americanlegion142.org”.